"Act of War" redirects here. For other uses, see casus belli (disambiguation) and acts of war (disambiguation). Casus belli is a Latin expression meaning "an act or event that provokes or is used to justify war" (literally, "a case of war"). A casus belli involves direct offenses or threats against the nation declaring the war, whereas a casus foederis involves offenses or threats against its ally—usually one bound by a mutual defense pact. Either may be considered an act of war. The term came into wide use in the seventeenth and eighteenth centuries through the writings of Hugo Grotius (1653), Cornelius van Bynkershoek (1707), and Jean-Jacques Burlamaqui (1732), among others, and due to the rise of the political doctrine of jus ad bellum or "just war theory". The term is also used informally to refer to any "just cause" a nation may claim for entering into a conflict. It is used retrospectively to describe situations that arose before the term came into wide use, as well as being used to describe present-day situations—even those in which war has not been formally declared. In formally articulating a casus belli, a government typically lays out its reasons for going to war, its intended means of prosecuting the war, and the steps that others might take to dissuade it from going to war. It attempts to demonstrate that it is going to war only as a last resort (ultima ratio) and that it has "just cause" for doing so. Modern international law recognizes only three lawful justifications for waging war: self-defense, defense of an ally required by the terms of a treaty, and approval by the United Nations. Proschema (plural proschemata) is the equivalent Greek term, first popularized by Thucydides in his History of the Peloponnesian War. The proschemata are the stated reasons for waging war, which may or may not be the same as the real reasons, which Thucydides called prophasis (πρóφασις). Thucydides argued that the three primary real reasons for waging war are reasonable fear, honor, and interest, while the stated reasons involve appeals to nationalism or fearmongering (as opposed to descriptions of reasonable, empirical causes for fear). Countries need a public justification for attacking another country, both to galvanize internal support for the war and to gain the support of potential allies. In the post–World War II era, the UN Charter prohibits signatory countries from engaging in war except: 1) as a means of defending themselves—or an ally where treaty obligations require it—against aggression; 2) unless the UN as a body has given prior approval to the operation. The UN also reserves the right to ask member nations to intervene against non-signatory countries that embark on wars of aggression. This section outlines a number of the more famous and/or controversial cases of casus belli which have occurred in modern times. While long term conflict between the northern and southern states (mainly due to the economic disparities and moral questions caused by slavery) was the cause of the American Civil War, the Confederate attack on Fort Sumter (April 12–14, 1861) served as casus belli  for igniting the deadliest war in American history. In the eyes of the United States, the sinking of USS Maine provided casus belli for the Spanish–American War. There have been several alternative explanations for the explosion, such as that proposed by Mr. Evans, a senior editor of Newsweek. In his book, he identifies a flaw in the design of USS Maine whereby the boiler room stood right next to the gunpowder storage room and that a boiler malfunction may have heated the adjacent metal wall and caused the powder to explode. Europeans had access to Chinese ports as outlined in the Treaty of Nanking from the First Opium War. France used the execution of Auguste Chapdelaine as a casus belli for the Second Opium War. On February 29, 1856, Chapdelaine, a French missionary, was killed in the province of Guangxi, which was not open to foreigners. In response, British and French forces quickly took control of Guangzhou (Canton). The assassination of Archduke Franz Ferdinand of Austria provided the trigger that led to the outbreak of World War I. In June 1914, the refusal of two points of the July Ultimatum offered to Serbia was used by Austria-Hungary as a casus belli for declaring war on Serbia. The murder at Sarajevo in Bosnia by Gavrilo Princip, a Bosnian Serb nationalist, Austrian subject and member of Young Bosnia (a secret society), was the reason why this ultimatum was made. The Russian Empire started to mobilize its troops in defense of its ally Serbia, which resulted in the German Empire declaring war on Russia in support of its ally Austria-Hungary. Very quickly, after the involvement of France, the Ottoman Empire and the British Empire, five of the six great European powers became involved in the first European general war since the Napoleonic Wars. In 1917, the German Empire sent the Zimmermann Telegram to Mexico, in which they tried to persuade Mexico to join the war and fight against the United States, for which they would be rewarded Texas, New Mexico, and Arizona, all former Mexican territories. This telegram was intercepted by the British, then relayed to the U.S., which led to President Woodrow Wilson then using it to convince Congress to join World War I alongside the Allies. The Mexican president at the time, Venustiano Carranza, had a military commission assess the feasibility, which concluded that this would not be feasible for multiple reasons. In his autobiography Mein Kampf, Adolf Hitler had in the 1920s advocated a policy of lebensraum ("living space") for the German people, which in practical terms meant German territorial expansion into Eastern Europe. 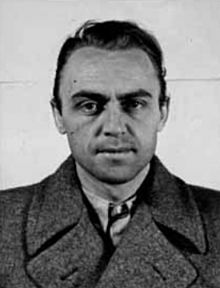 Alfred Naujocks, who organized and led the Gleiwitz incident on the orders of Heydrich. In August 1939, to implement the first phase of this policy, Germany's Nazi government under Hitler's leadership staged the Gleiwitz incident, which was used as a casus belli for the invasion of Poland the following September. Nazi forces used concentration camp prisoners posing as Poles on 31 August 1939, to attack the German radio station Sender Gleiwitz in Gleiwitz, Upper Silesia, Germany (since 1945: Gliwice, Poland) on the eve of World War II in Europe. Poland's allies, the UK and France, subsequently declared war on Germany in accordance with their alliance. In 1941, acting once again in accordance with the policy of lebensraum, Nazi Germany invaded the Soviet Union, using the casus belli of preemptive war to justify the act of aggression. Many historians have suggested that the Gulf of Tonkin Incident was a manufactured pretext for the Vietnam War. North Vietnamese Naval officials have publicly stated that USS Maddox was never fired on by North Vietnamese naval forces. In the documentary film "The Fog of War", then-US Defense Secretary Robert McNamara concedes the attack did not happen, though he says that he and President Johnson believed it did so at the time. The first Gulf of Tonkin Incident (the 2nd of August) should not be confused with the second Gulf of Tonkin Incident (4 August). The North Vietnamese claimed that on August 2, US destroyer USS Maddox was hit by one torpedo and that one of the American aircraft had been shot down in North Vietnamese territorial waters. The PAVN Museum in Hanoi displays "Part of a torpedo boat... which successfully chased away the USS Maddox August 2nd, 1964". The casus belli for the Vietnam War was the second incident. On August 4, USS Maddox was launched to the North Vietnamese coast to "show the flag" after the first incident. The US authorities claimed that two Vietnamese boats tried to attack USS Maddox and were sunk. The government of North Vietnam denied the second incident completely. Deniability played favorably into the propaganda efforts of North Vietnam throughout the war, and for some years to follow. A casus belli played a prominent role during the Six-Day War of 1967. The Israeli government had a short list of casūs belli, acts that it would consider provocations justifying armed retaliation. The most important was a blockade of the Straits of Tiran leading into Eilat, Israel's only port to the Red Sea, through which Israel received much of its oil. After several border incidents between Israel and Egypt's allies Syria and Jordan, Egypt expelled UNEF peacekeepers from the Sinai Peninsula, established a military presence at Sharm el-Sheikh, and announced a blockade of the straits, prompting Israel to cite its casus belli in opening hostilities against Egypt. The casus belli cited by Israel for its June 1982 invasion of Lebanon was the attempted assassination of the Israeli Ambassador in London, which the Israeli government blamed on the Palestinian Liberation Organization. A possible invasion plan had been prepared in advance by Israel. The casus belli for the Bush administration's conceptual War on Terror, which resulted in the 2001 Afghanistan war, was the September 11 attacks in 2001 on the World Trade Center in New York City, The Pentagon in Arlington, Virginia, and the intended attack on the United States Capitol in Washington, D.C. When the United States invaded Iraq in 2003, it cited Iraq's non-compliance with the terms of cease-fire agreement for the 1990–1991 Gulf War, as well as planning in the 1993 attempted assassination of former President George H. W. Bush and firing on coalition aircraft enforcing the no-fly zones as its stated casus belli. Cited by the George W. Bush administration was Saddam Hussein's weapons of mass destruction (WMD) program. The administration claimed that Iraq had not conformed with its obligation to disarm under past UN Resolutions, and that Saddam Hussein was actively attempting to acquire a nuclear weapons capability as well as enhance an existing arsenal of chemical and biological weapons. Secretary of State Colin Powell addressed a plenary session of the United Nations Security Council on February 5, 2003 citing these reasons as justification for military action. It is now publicly known that the Bush administration’s claims of ongoing weapons programs were not justified by then-current intelligence. ^ Bynkershoek, Cornelius van (2007). A Treatise on the Law of War. Lawbook Exchange. ISBN 1-58477-566-1. ^ Bynkershoek, Cornelius van (1995). On Questions of Public Law. William S. Hein & Company. ISBN 1-57588-258-2. ^ Russell, Frederick H. (1997). The Just War in the Middle Ages. Cambridge University Press. ISBN 0-521-29276-X. ^ Childress, James F. (1978). "Just-War Theories: The Bases, Interrelations, Priorities, and Functions of Their Criteria". Theological Studies. 39: 427–45. ^ "Chapter VII | United Nations". www.un.org. Retrieved 2017-04-02. ^ Watson, William (1887). Life in the Confederate Army: Being the Observations and Experiences of an Alien in the South During the American Civil War. United States: Chapman & Hall. p. 113. Retrieved August 5, 2014. ^ "Destruction of the Maine (1898)" (PDF). The Law Library of Congress. www.loc.gov. August 4, 2009. Retrieved 2015-05-19. ^ Kaplan, Fred (19 December 2003). "The Evasions of Robert McNamara" – via Slate. ^ Sachar, Howard M.: A History of Israel from the Rise of Zionism to Our Time, Alfred A. Knopf 1996, ISBN 0-679-76563-8, page 904. ^ "As early as January 1982, therefore, with Begin's approval, Sharon paid a secret visit to Beirut.... By the following month... operational plans for the offensive were well advanced. Israeli liaison officers repeatedly visited Beirut to coordinate strategy with the Phalange. In the end, the Lebanon expedition would be the most thoroughly prepared campaign in Israel's history." – Sachar, A History of Israel, p. 903. ^ "Joint Resolution to Authorize the Use of United States Armed Forces Against Iraq". Office of the Press Secretary. October 2, 2002. ^ "Remarks to the United Nations Security Council". 4 February 2005. Archived from the original on 2005-02-04. ^ "No, really, George W. Bush lied about WMDs". Vox Media. July 9, 2016. Wikisource has the text of the 1911 Encyclopædia Britannica article Casus Belli. Vidal, Gore. Imperial America: Reflections on the United States of Amnesia. Hardcover ed. Avalon Group.